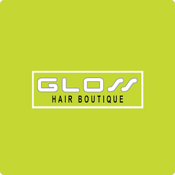 Gloss Hair Boutique is a friendly yet sophisticated boutique hair salon located in the seaside suburb of Dudley, Newcastle – only 5 minutes drive from Charlestown Square and 20 minutes from Newcastle CBD. At Gloss Hair Boutique we pride ourselves in knowing our clients individually - something that you don’t seem to find in larger, more commercialised hair salons. We then go the extra mile to not only give you a great hair style but a pleasant and fun experience while in the salon with continual service even after you leave. Our main objective is not only to give you what you desire but doing it in a way that never jeopardises the condition and health of your hair. We class our team as a team of hair doctors and will only give you professional, individual and honest advise that’s best for you hair. We offer referral systems that reward you -birthday specials, SMS reminders and special offers, newsletters and competitions. Come by and meet our friendly team, and have a chat about your hair needs. The atmosphere is friendly, relaxed and you’ll love the personal service.